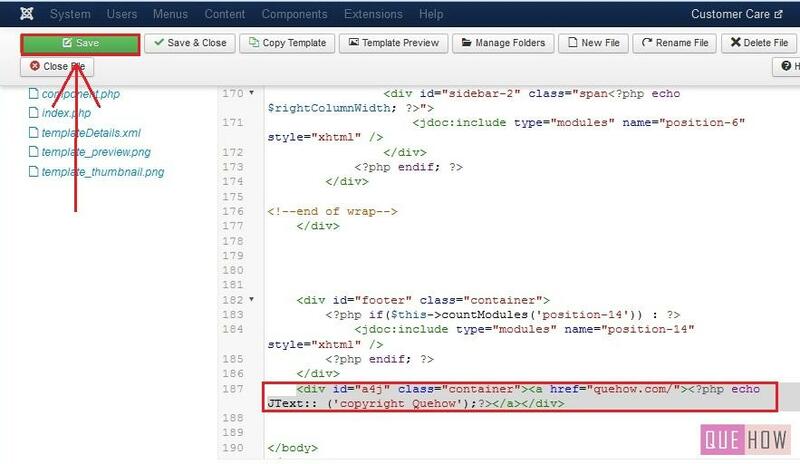 In Joomla, whenever you install a new template for your site, the copyright footer will either be of Joomla or some other publisher. If you want to edit the footer then, you can do it by simply changing the code of the footer. After-all now it’s your template and its your responsibility to handle your website. In this tutorial, you will learn to edit the copyright footer in Joomla by following the simple steps as explained below. 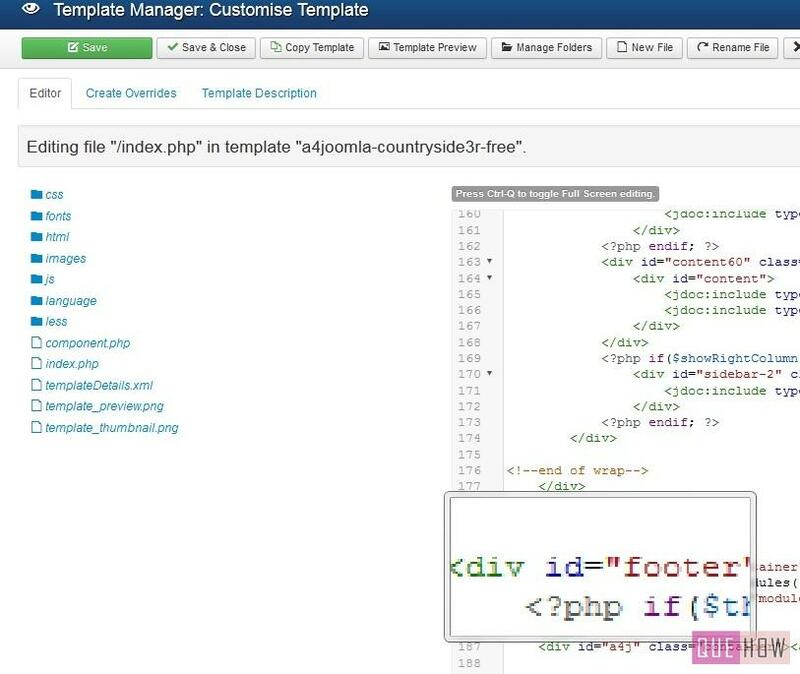 Step 1: Once you have logged in to the Joomla admin panel, click on “Extension” option and go to the “Template Manager”. Step 2: You will be redirected to “Styles” option, if not, then go to the styles, under “Template” section and select the desired template. 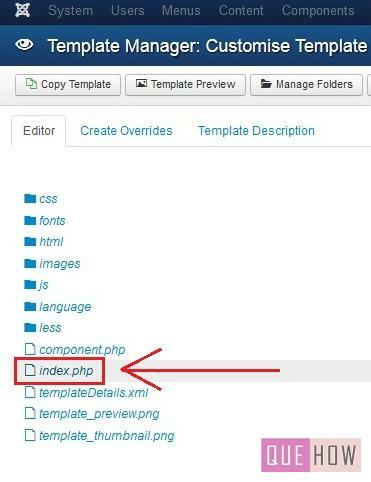 Step 3: Usually footer.php is not available on joomla templates, if available, then click on that particular file, otherwise go to “index.php” from where you can make the changes to the footer. Step 4: Scroll down, you will find the code of the footer. Step 5: You need to change the url shown under href and Jtext inorder to edit the footer and click on “Save” to make the changes.